Congratulations to the hundreds of schools around the country who received their Green Flag award notification – we can’t wait to meet you at our award ceremonies in May. 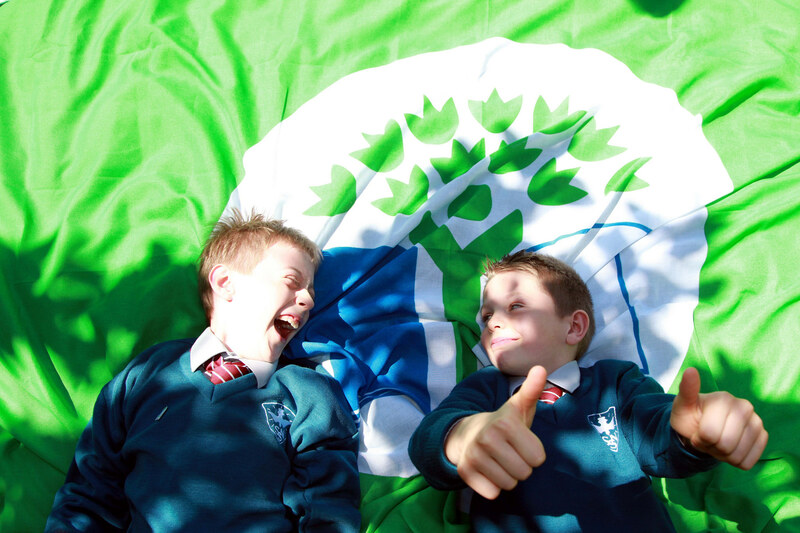 This year Green-Schools are hosting 18 ceremonies in eight locations around Ireland for 4,000 attendees! If you are travelling to a ceremony we would ask you to consider choosing a sustainable form of transport, when and where possible. Please see details on our venues below including information on public transport, parking and locations. Consider using the Transport for Ireland website to plan your trip and see if you can avail of public transport for all or part of your journey. Why not carpool? Contact the Green-Schools office to ask if schools in your area are attending the awards – maybe you could get a minibus together? Practice park ‘n’ striding! If you’re coming part of the way by car, why not park further from the venue and walk or scoot the rest? You’ll arrive alert for the ceremony and hungry for a celebratory lunch!